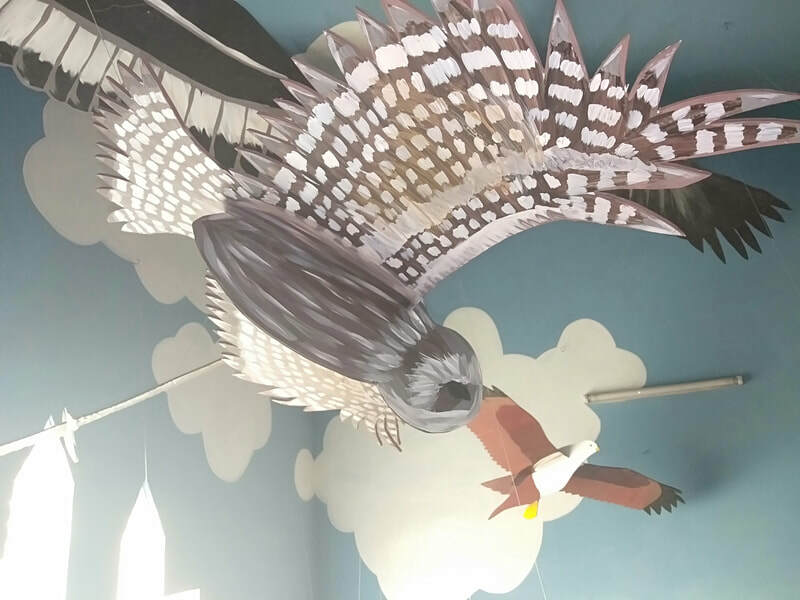 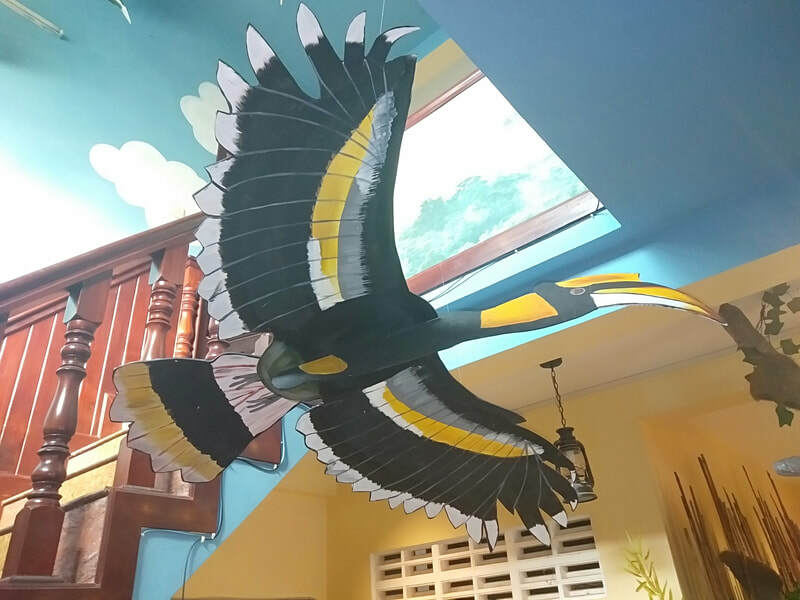 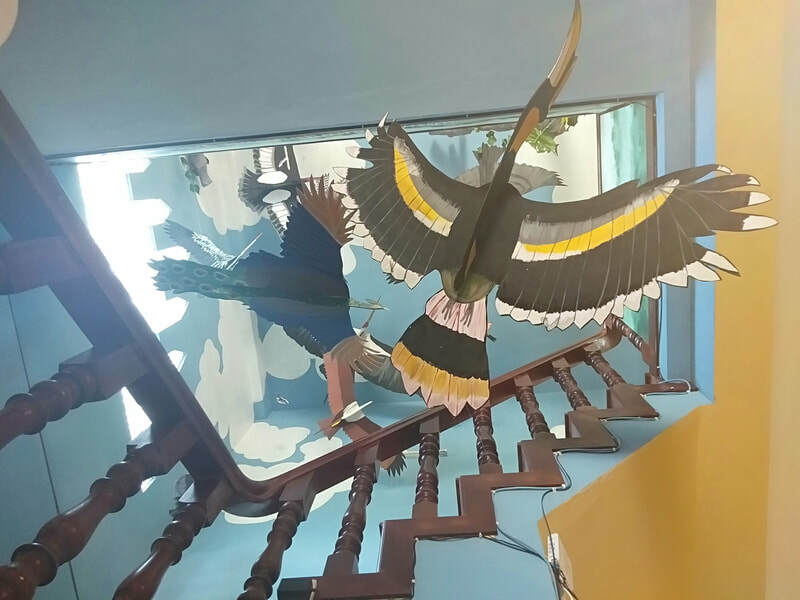 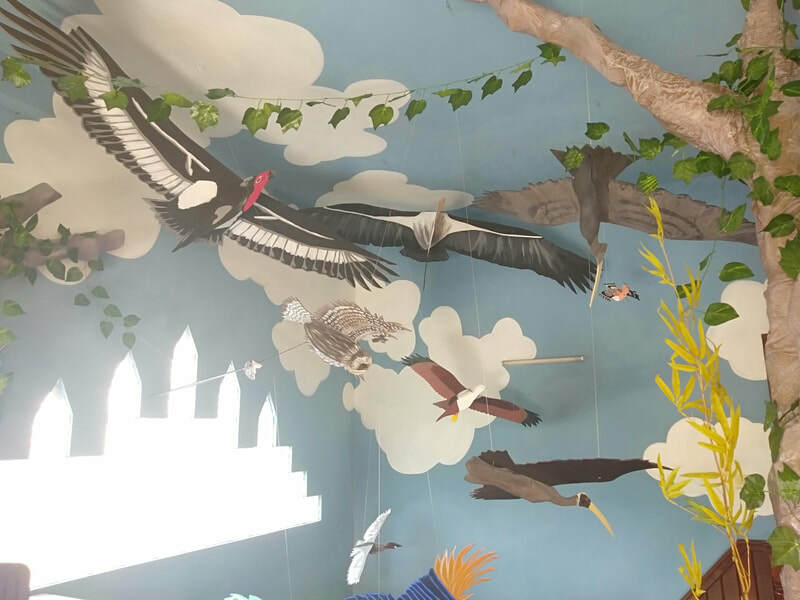 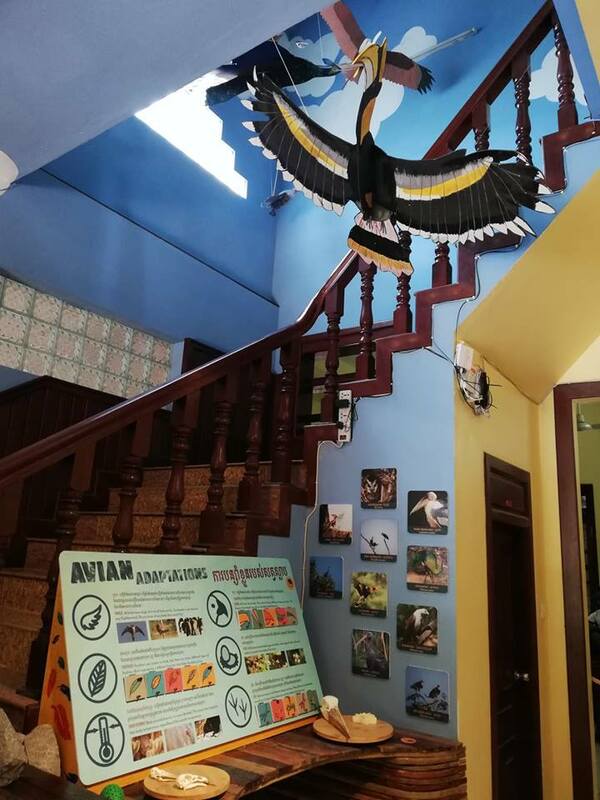 This educational art installation features a painted sky mural and some of Cambodia's most precious creatures: birds! 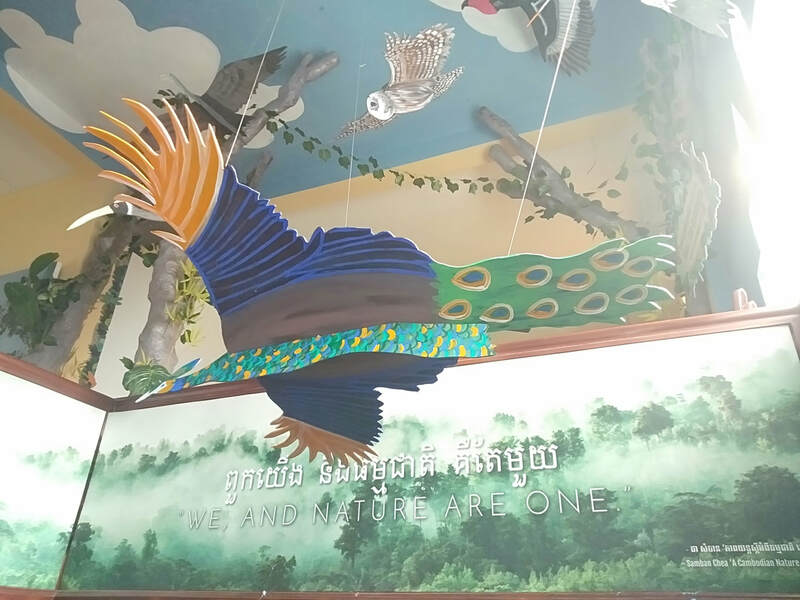 Species include Green Peafowl, Giant Ibis, Collared Scops Owl, Red-breasted Parakeet, Red-headed Vulture, Greater Adjutant Stork, Great Hornbill, Changeable Hawk Eagle, Oriental Darter and Hoopoe. 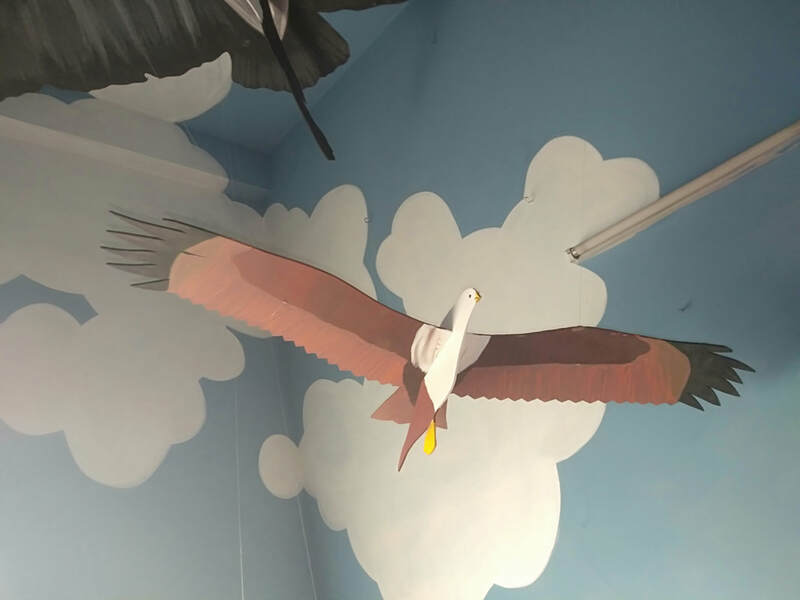 Informational graphics about the lifespan, size, habitat, diet and adaptations of each species are included in the Nature Discovery Center lobby.